In 1996, the MoD commissioned a defense contractor to produce a comprehensive report on U.K. UFO sightings. The report was compiled at a time of huge public interest in UFOs fueled by the wildly popular “X-Files” TV series and 1997’s 50th anniversary of the purported UFO incident in Roswell, New Mexico. Code-named Project Condign, the report analyzed a database of sightings between 1987 and 1997 and was delivered to officials in 2000. The study, entitled ‘Unidentified Aerial Phenomena (UAP) in the UK Air Defence Region,’ found that that sightings could be explained by a variety of known phenomena, both man-made and natural. The incidence of relatively rare natural phenomena was also noted. “No evidence exists to associate the phenomena with any particular nation,” it said. 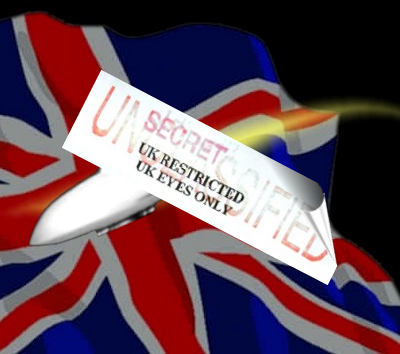 Project Condign: "In 2006, the British Ministry of Defence Declassified Its Three-Year study of UFOs…"